Home shows are a fantastic way for our team to meet new clients, reconnect with past customers, and showcase our favorite home improvement products. It was at the Minneapolis Home & Garden Show that we first met Kevin & Doreen, the owners of a 1980’s era Shoreview, MN home. 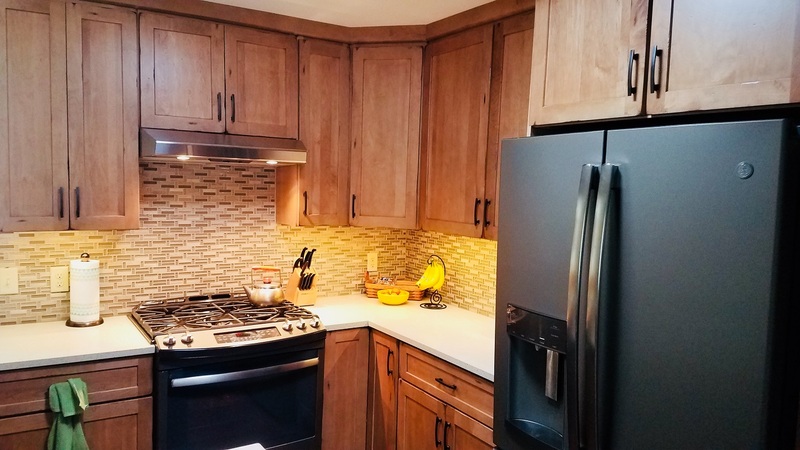 This couple was on a mission to locate a custom home remodeling company that could assist them with a kitchen renovation. Here’s what the kitchen looked like before we commenced work. 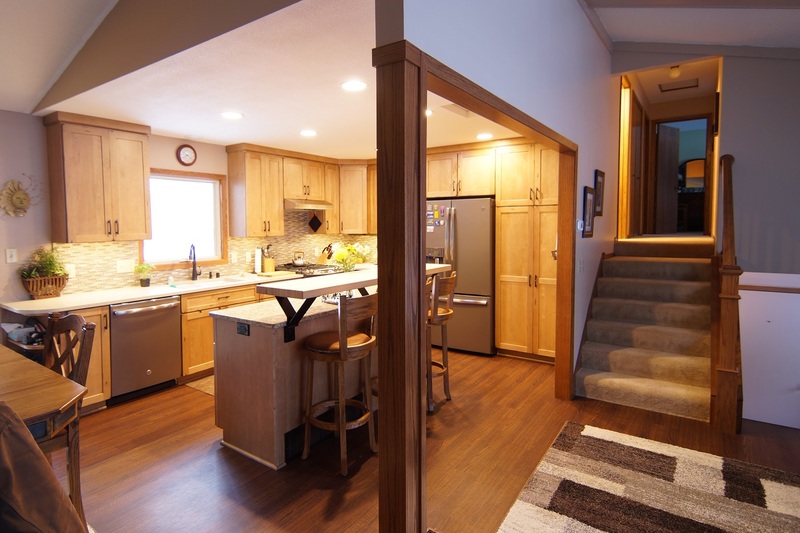 In order to get the custom home renovation underway, we suggested they schedule a free estimate with our Design/Build specialist so that we could learn more about the couple’s vision and discuss steps for their Minnesota remodeling project. 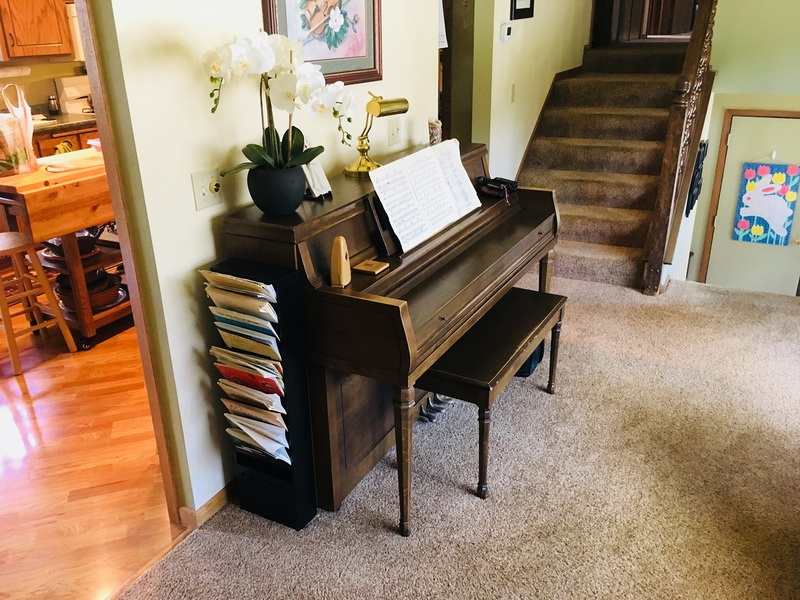 Our initial consultation identified the room’s biggest issues as outdated finishes, inadequate storage space, and a set-up that made the room feel separated from the rest of their home. 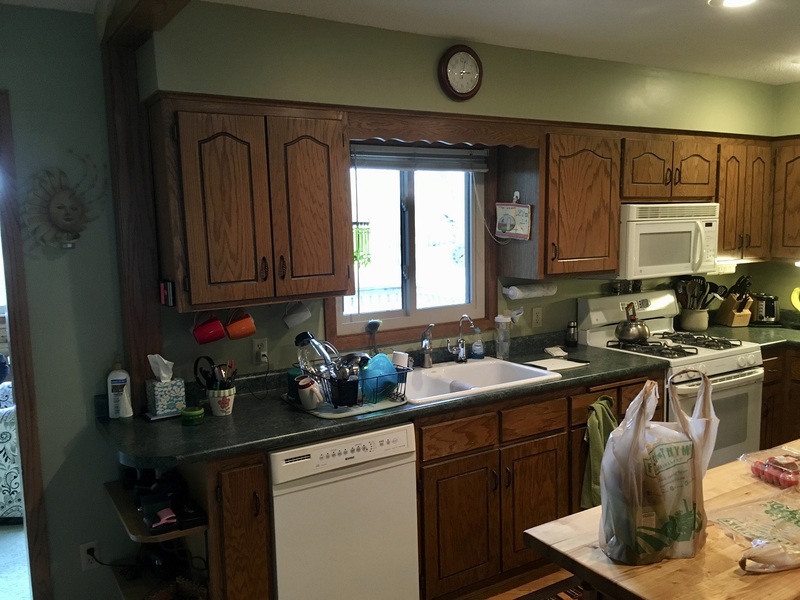 One of the couple’s requests was to remove this wall to make the kitchen feel less closed off. Compartmentalized Feel: When Kevin & Doreen’s home was built, the trend was to have distinct and separate rooms. This set-up made the space feel closed off from the rest of the home, making it difficult for guests to congregate within the kitchen to socialize during meal preparation. Removing the wall that separated the kitchen from the living room, allowed the space to feel more open. A sun tunnel and a SeasonGuard awning window were installed to introduce additional natural light within the space, giving it a more open ambiance. Outdated Finishes: Components such as white appliances, laminate countertops, olive green paint, and worn flooring, left the home’s kitchen looking a bit like a time capsule. However, this afforded Kevin and Doreen the ability to treat the space like a blank canvas. Quartz countertops replaced the previous laminate countertops. This material continues to gain traction with the homeowners we work with because they do not need to be resealed, offer a consistent look, and are durable. 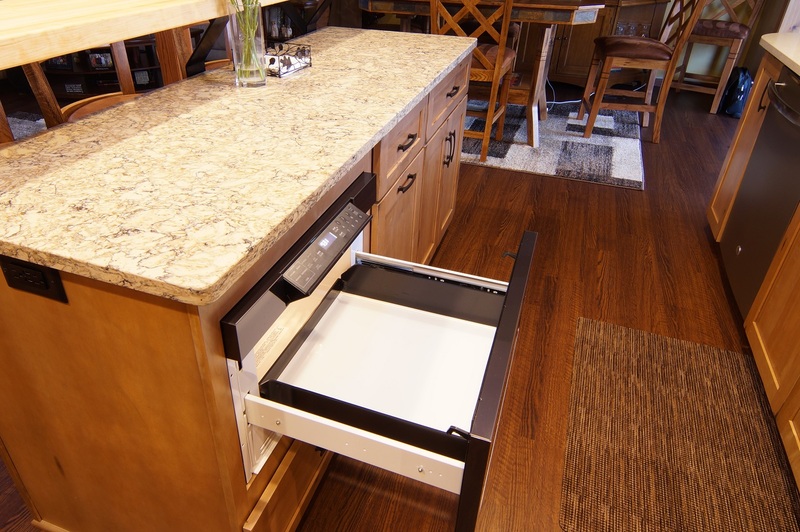 To add beauty and warmth to the space, luxury vinyl tile in antique walnut was installed. 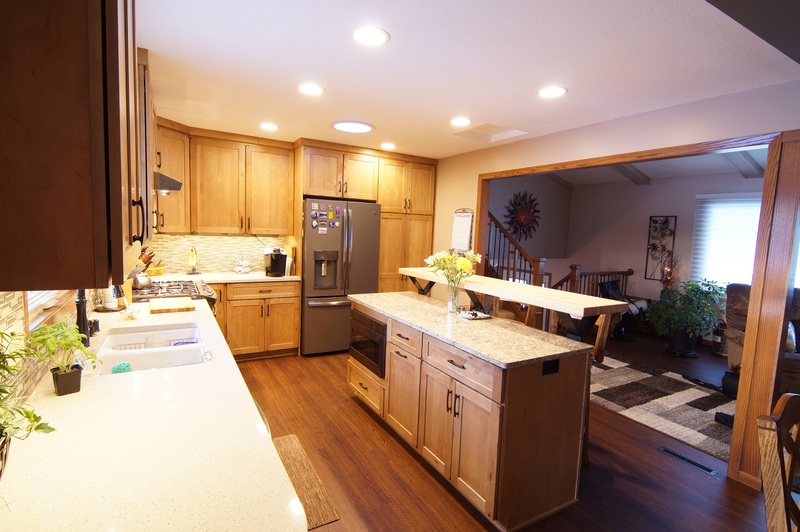 The white appliances were replaced with modern energy efficient stainless steel devices. A new beige and white backsplash in a basket weave pattern provided the perfect accent to the room’s freshly painted walls. "They came when they said they would, were very efficient and competent, and left the property in excellent condition." - Beverly F.
"Thank you Lindus for working with us to complete our new three season porch! It is an awesome space. It was great to work with your staff who did excellent work in installing the roof. The Sunspace windows are amazing. Thank you!" - Jeff O. "They put on my LeafGuard Brand Gutters. Very nice job." - Tom C.